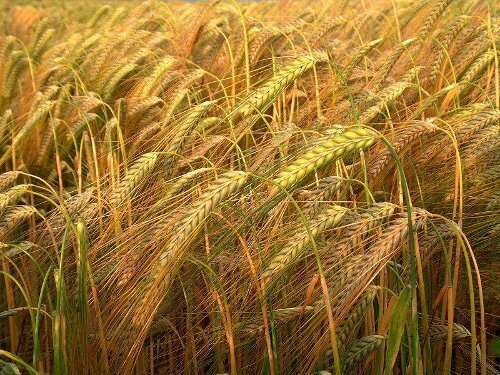 Then the Lord spoke to Moses, saying, “Speak to the sons of Israel and say to them, ‘When you enter the land which I am going to give to you and reap its harvest, then you shall bring in the sheaf of the first fruits of your harvest to the priest. He shall wave the sheaf before the Lord for you to be accepted; on the day after the sabbath the priest shall wave it. Now on the day when you wave the sheaf, you shall offer a male lamb one year old without defect for a burnt offering to the Lord. Its grain offering shall then be two-tenths of an ephah of fine flour mixed with oil, an offering by fire to the Lord for a soothing aroma, with its drink offering, a fourth of a hin of wine. Until this same day, until you have brought in the offering of your God, you shall eat neither bread nor roasted grain nor new growth. It is to be a perpetual statute throughout your generations in all your dwelling places. I don’t have my notes from last Sunday’s sermon so I’m pretty much winging it, but Pastor, in describing the Festival of First Fruits, said an interesting thing. He said that God gave the Children of Israel and their descendants, the Jewish people, the Land of Israel in perpetuity, that is, forever. He said that this giving of the Land to the Jews goes well beyond the Messianic Age and even to the end of our understanding of time as presented in the Bible. He said that should settle all of the political wrangling we see in current times, and the various attempts to persuade or coerce the Jewish people to surrendering some (all) of their Land to the Arab people living among them, in exchange for the Arabs not committing various acts of terrorism. The Land of Israel was given to the Jewish people by God for all time through the Almighty’s promises to Abraham, and to Isaac, and to Jacob. Now let’s look at one of the functions of Torah. Torah, as it was given at Sinai and recorded by Moses throughout the forty years in the desert, was to operate as the national constitution of the nation of Israel. It described all of the civil and criminal laws, as well as social customs and mores, as well as what we think of as “religion” today, though Torah doesn’t specifically categorize these distinctions. This is just how the Jewish people, as citizens of Israel, were to behave in all the various details of their lives, with God as their King. We know that verse 14 in the above-quoted passage indicates that the Festival of First Fruits was “to be a perpetual statute throughout your generations in all your (the Jewish people’s) dwelling places.” Perpetual. Forever. But according to Pastor, the only thing left of this particular festival in modern Judaism is the Counting of the Omer. Actually, Leviticus 23:15-16 says to count the days, not the Omer. When Torah was given, it was tailored to an agrarian society, one where the primary economy is based on agriculture. So the sacrificial system involves the products of such a society, the religious calendar is geared to the timing of the harvests. But how can God give the Israelites a commandment that says the Festival of First Fruits is perpetual when there is no Temple? How can this be a perpetual command when there have been times when the Jewish people have been exiled from their Land and arguably, continue to remain in exile until the return of Messiah? If you believe that the Jewish people were given perpetual possession of the Land of Israel by God, and you believe that the Torah is the national constitution of the Land of Israel when ruled either by God directly or a King appointed by God, and you believe that at least the Festival of First Fruits (and possibly the other festivals…certainly Sukkot) is to be a perpetual festival before the Lord, and you believe that Messiah will restore Israel completely to the Jewish people, rebuilding Jerusalem, and rebuilding the Temple, then how can you believe that the Torah is no longer valid and will never again be valid? I know, I know. It depends on what you call Torah. That gets pretty complicated, at least from a Christian point of view. If everything I said in the paragraph above is true, then Torah must include all of the commandments related to the perpetual festivals and if that’s true, then the commandments related to the Temple and the Priesthood must all continue to be valid, although currently held in abeyance. Consider the Babylonian exile. Consider the Israelites either scattered or held captive in a foreign country, with only a tiny remnant remaining in the Land. Consider the destruction of Solomon’s Temple. Did that cancel the Torah? Were the Laws of Moses removed? Were the Jewish people deleted from any significance in the course of history? No, of course not. Then why should the destruction of Herod’s Temple mean the cancellation of Torah and the “dejudizing” of the Jewish people? Oh, because of Jesus and the cross? Why should that make a difference? Because of Paul? Why does Paul get to re-write God’s law for the Jewish people? Why does the Christian viewpoint of the Jewish Messiah exist in such opposition to everything else we see in the Bible? You’d think Messiah would exist in harmony with the Word of God. You’d think Messiah would be the pinnacle, the culmination, the very height of the commandments of God. In Torah, it is said that the King must possess a personal copy of the Torah and study it daily, so he does not place himself above his people, but that he functions as King among his people, the perfect example of obedience to God as a Jewish man and ruler. As the perfect and final King, shouldn’t that also be the role of Messiah, of Jesus? On the cross, Jesus said, “It is finished,” (John 19:30) and this is interpreted to mean that Judaism and the Torah are finished and that finally grace reigns in their stead. But then what was actually finished if we have this? And He who sits on the throne said, “Behold, I am making all things new.” And He said, “Write, for these words are faithful and true.” Then He said to me, “It is done (emph. mine). I am the Alpha and the Omega, the beginning and the end. I will give to the one who thirsts from the spring of the water of life without cost. He who overcomes will inherit these things, and I will be his God and he will be My son. I’ve said before that I don’t think all of the work of Messiah was finished at the cross. How could it be? If it were, why would he need to return or for that matter, why did he leave? What was finished at the cross was his suffering and he was brought to the point of death. The forgiveness of sins for all the people of the earth was established through Messiah and the beginning of the process of the New Covenant, which also is not yet finished, for we do not all yet know God. But God said, “It is done,” right before the coming of New Jerusalem, right before the final time, right before the end of all things as we understand them. 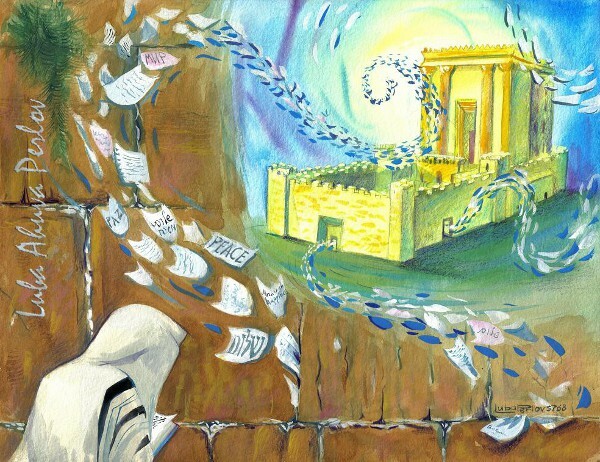 Revelation 21:22 says that the New Jerusalem has no Temple in it because God and the Lamb are the Temple, but that doesn’t occur until everything else we are waiting for as prophesied in the Bible is finally completed. We are no where near that point in human history. What men like Thomas Schreiner describes in books like 40 Questions About Christians and Biblical Law can’t possibly be correct because such a viewpoint denies God’s promises to the Jewish people about the Land, the Temple, the Torah, and particularly the Messiah. Christian theological blinders inhibit a view of the “big picture” of the Bible. It’s a fascination with a piece of bark on one tree while ignoring the panorama of the forest. It’s like focusing on every detail of a freeway rest stop when you need to be planning a major road trip that includes all of the miles between Los Angeles and New York. In the span of one Sunday church sermon, my Pastor inserted enough information that confirms and supports the continuation of the Torah of Moses…the Torah of God in the lives of the Jewish people, both in the present and especially in the future.